From March 11-13, 2019, CompTIA hosted their second annual Communities & Councils Forum (CompTIA CCF) in Chicago, IL. 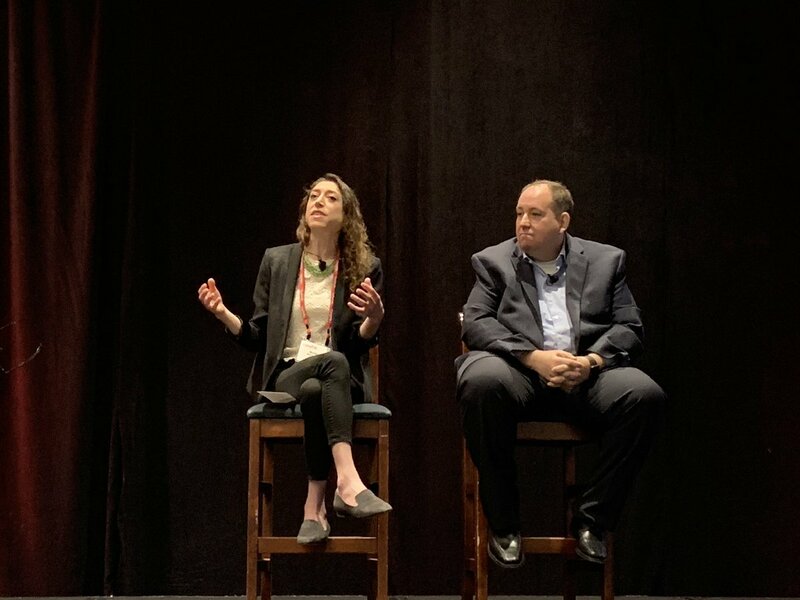 Smith.ai’s head of growth and education Maddy Martin was on the opening keynote panel, moderated the Emerging Technology and Advancing Diversity in Technology joint session, and helped facilitate the Emerging Technology Community meeting. What’s holding us back from “the future” of technology? Slow implementation due to technical limitations, lack of universal standards, fear of machines replacing us, skills gaps, overselling, and future fatigue. Artificial intelligence (AI) is the broad concept of incorporating human intelligence into machines. Machine learning (ML) is more specific and involves enabling machines to learn for themselves. Maddy describes real-time Spanish/English translation, a “future” concept that can now be used to the benefit of thousands of Americans. She gives the example of staff working in an immigration law firm. Regarding a fear of machines taking our jobs, Maddy explains that AI and machine learning replaces repetitive tasks that cause fatigue and leaves humans to high level functioning in their positions. David talks about paying attention to the technology you are using and how not all companies are up front about how they engage with consumers. Maddy discusses new technology and how there will always be benefits and burdens that we need to address. Watch the video recording of this panel on YouTube. Learn more about the top 10 emerging technologies identified by the EmTech Community (YouTube video). Smith.ai is using artificial intelligence (AI) and machine learning to empower our receptionists to deliver exceptional services with unparalleled accuracy and speed, both through live phone calls and web chat. A couple examples are with our automatic spam blocking and real-time English-Spanish translation, both of which take an enormous burden off small- and medium-sized businesses and our own receptionists. Not having to work on basic tasks and chores that can be automated means more head-space and energy for higher-level thinking. Smith.ai offers an ideal example of how AI and real people can work together to augment both the experience and skills of the worker, as well as the services delivered to clients.